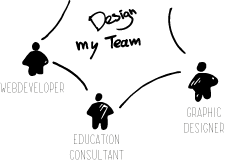 I want to make myself known as a designer in the field of education and with a participatory design ‘expertise’. All the contacts I gained during my FMP are helpful in this. I invited them to visit my graduation presentation or I am going to meet them and explain the results of my project. Also I need to make a portfolio and update my social media profile. I make use of the exposure of KnapZack and try to gain new contacts in the process to arrange new possible projects to work on. Although I did a good job with participatory design in my Final Master Project I know I am still at the beginning of this design approach. To keep on developing my skills and knowledge in this matter, I will explore new opportunities to try out other forms of participatory design. I want to follow the advice of my coach in letting my designs become more out of my control. This I can try out with the project within Skills&co. 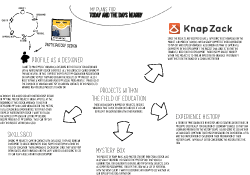 To have a look at what projects I have in mind, check out my full PDP. 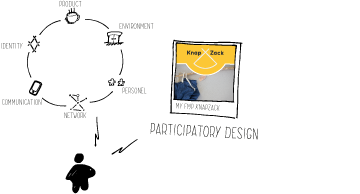 KnapZack has the potential to change the culture in education. 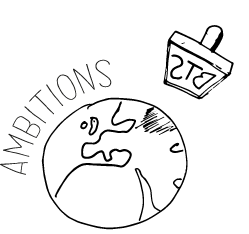 My ambition is to transform the way we teach and letting children discover and develop their talents early on. 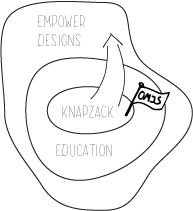 When I start my own company to develop KnapZack with Onderwijs Maak Je Samen, I want KnapZack to be the first of many concepts that I will create for education.